The multi-billion dollar tie-up between two major Apple suppliers in Asia is back on after weeks of uncertainty. Taiwan's Foxconn (HNHPF) said Wednesday that its planned takeover of struggling Japanese electronics firm Sharp (SHCAY) will go ahead, although at a significantly lower price than previously announced. Foxconn is a giant contract manufacturer that plays a key role in assembling iPhones. By buying Sharp, Foxconn would get its hands on display technology used in some Apple (AAPL) devices. Five weeks ago, Sharp announced that a deal had been reached. But hours later, Foxconn called the whole thing into doubt, saying it was reviewing "new material information" from the Japanese company. They spent weeks renegotiating the terms of the deal amid fears Sharp could end up left in the lurch. Now, both sides seem to be on the same page. Under the new agreement, Foxconn will buy shares in Sharp worth about 389 billion yen ($3.5 billion), according to the companies. That's a lot less than the 589 billion yen ($5.25 billion) investment Sharp announced last month. That figure included 100 billion yen ($890 million) that Foxconn planned to spend on preferred stock held by two of Sharp's lenders, but the statements Wednesday didn't say whether that part of the deal would still happen. Analysts say Sharp offers Foxconn the possibility of greater leverage with Apple as well as access to consumer markets through a recognized brand. But the deal means taking on the challenge of turning around a heavily indebted, loss-making company. Sharp has been mired in problems in recent years. It has been trying to restructure its troubled liquid crystal display (LCD) business after heavy investment in big TV sets failed to pay off. Underscoring its difficulties, Sharp said Wednesday that it now expects to post an operating loss of 170 billion yen ($1.5 billion) for the financial year ending this month, rather than the 10 billion yen ($89 million) profit it had been forecasting. 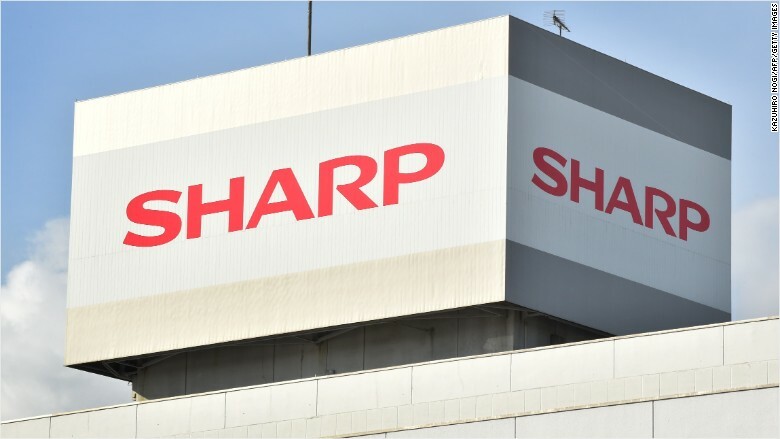 "We are committed to restoring profitability and strengthening operations to once again make Sharp a leader in the global electronics arena and a world-class company with a positive outlook," the companies said in a joint statement. Sharp shares closed 3.9% higher Wednesday in Tokyo on reports that a deal had been reached. Foxconn shares were suspended in Taiwan ahead of the announcement.